I CANNOT GET ENOUGH. 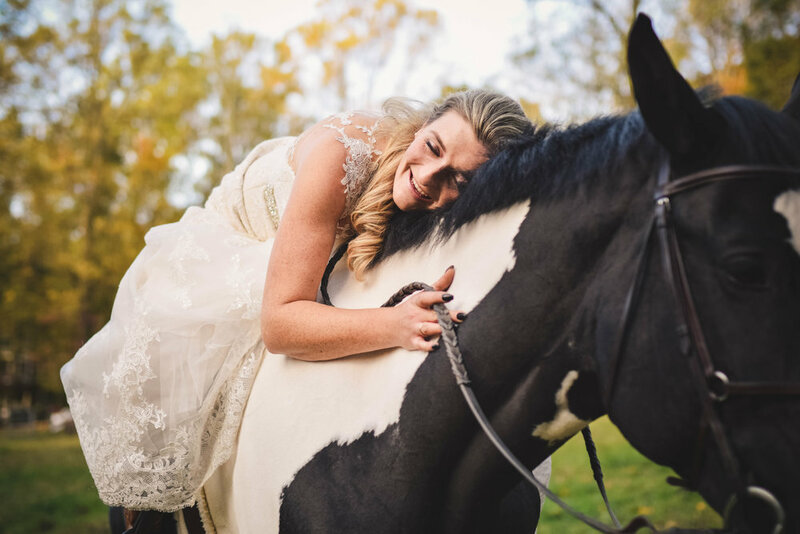 Golden light, a gorgeous bride with the BIGGEST heart, AND a beautiful horse. Not mention the most adorable group of kiddos, doggos, and a donkey (YES A DONKEY) following us around Katie's picturesque farm. 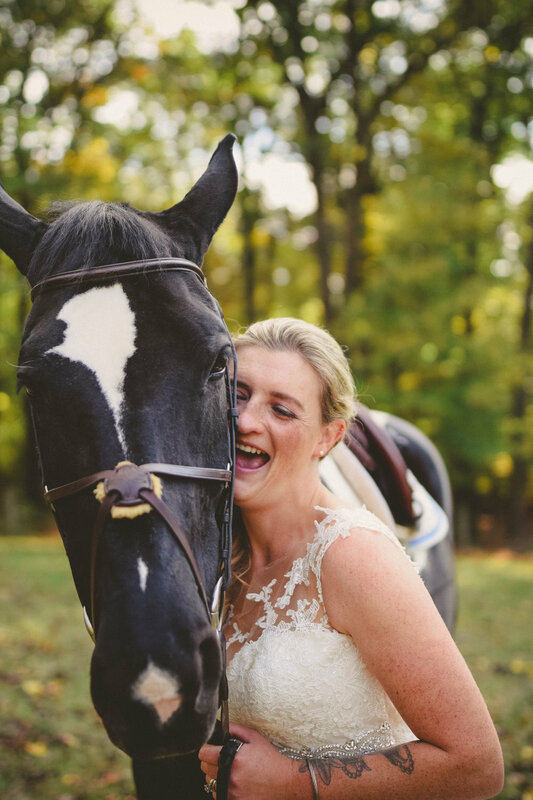 Needless to say, this was one of my favorite bridal portrait sessions of all time.